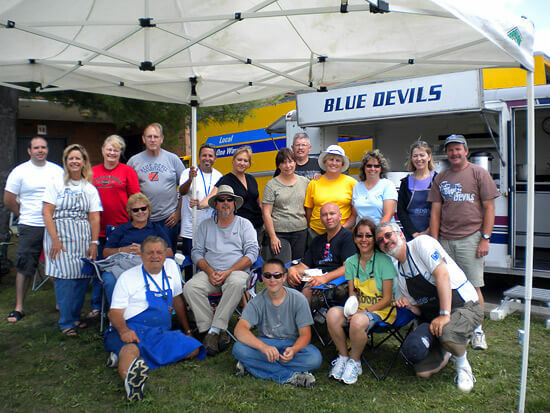 This is a photo of the volunteer support staff from the Blue Devils B corps during their DCI World Championships tour. These volunteers worked literally day and night to keep the corps fed, watered and on the road. I'm surprised they were able to sit long enough to take even this photo!